On Thursday, News Five broke the story of an ongoing investigation into missing monies from the Gang Suppression Unit’s headquarters on Newtown Barracks. The funds were initially set aside for the payment of informants who provide the taskforce with credible leads, as well as information resulting in the arrest of criminals. Those monies, under the charge of former commander Glenn Caliz, are reportedly unaccounted-for. 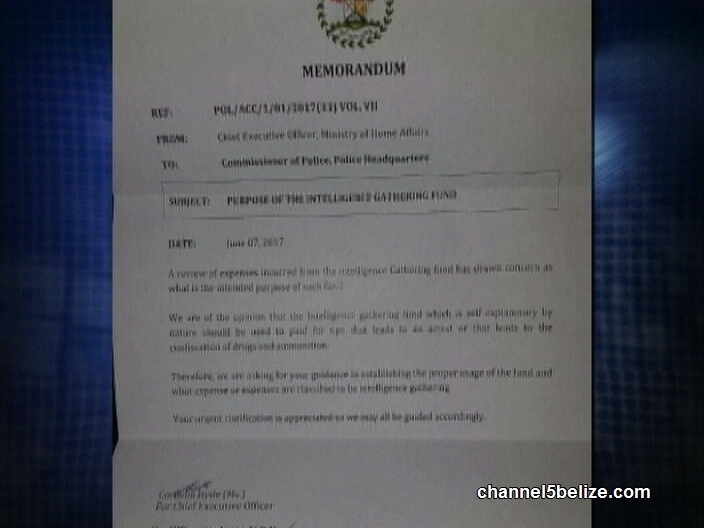 As we reported, a letter was sent to Commissioner of Police Allen Whylie by C.E.O. George Lovell prior to Caliz’s departure at the end of June, questioning the intended purpose of the earmarked funds. 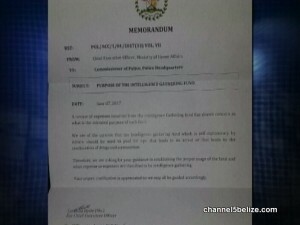 Earlier today, Minister of State Elodio Aragon Jr., who oversees the day-to-day operations of the Belize Police Department, told News Five that he will be looking into the matter in the days ahead. As much as sixty thousand dollars is unaccounted-for from the Information Gathering Fund. News Five will continue to follow this story.